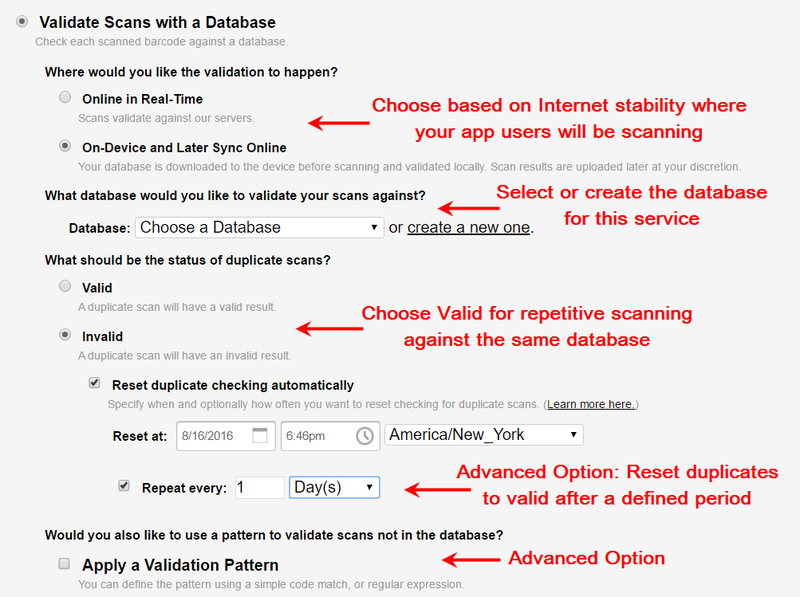 With this service type each scan is checked against the service’s associated database. Create at least one new app user. Convention is using email address or suffix + name. 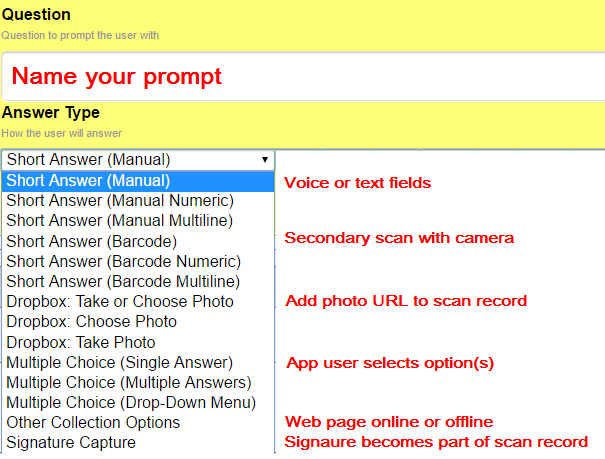 Prompts to your app users to collect data after each scan. 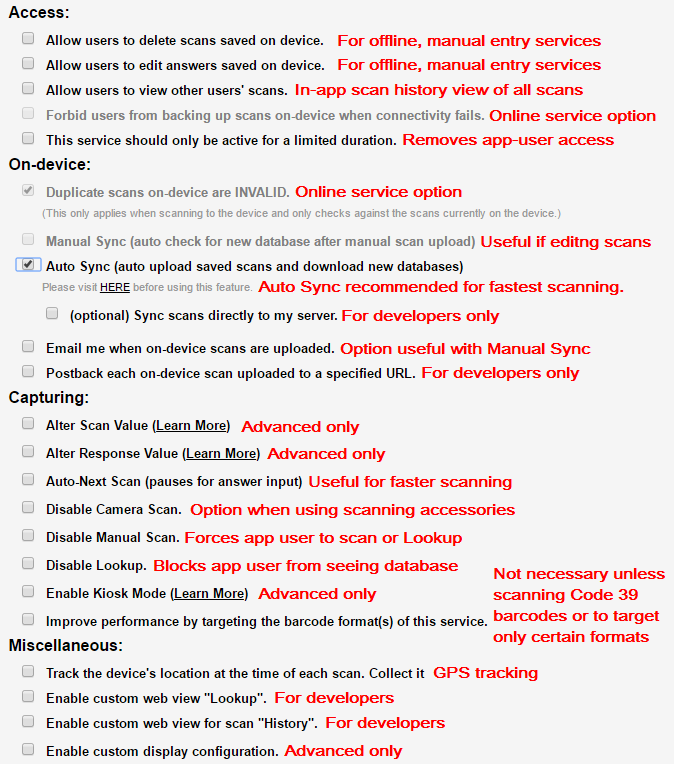 To restrict app-user access to the scans uploaded to our server, you should check the option to Enable custom web view for scan “History”. To restrict app-user access to the database associated with your service, you should check the option to Enable custom web view “Lookup”. You don’t have to be a developer for those options – you can enter an existing URL there, such as your Privacy or Terms URL. Alternatively, you or your developer can create a custom web page specifically for these options and insert those URLs. Step 6. Create an Export Template for your scan records and filter, share and export them. Please look here for instructions.